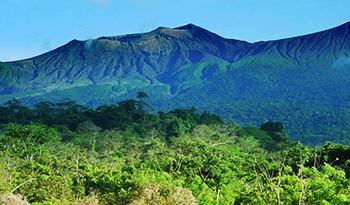 The Papagayo peninsula is famous in Costa Rica and around the world for its luxury resorts and remarkable wildlife. Nestled alongside the equally beautiful Playa Hermosa and Playa del Coco, Playa Panama is a slice of tranquility and authenticity in northern Guanacaste. Here you won’t find the movie stars and sprawling estates of Papagayo. Life on Playa Panama is a bit more laid back and one hundred percent Pura Vida. The Four Seasons Resort in the Papagayo Peninsula was one of the first to offer estates for those interested in investing in Costa Rica through real estate. Retirement in Costa Rica has been made easier with a number of developments, gated communities, estates and condominiums popping up in the area. Luxury homes are by far the most popular type of development in the area for new residents. Residential lots are expensive and but feature some of the best views in the country. Likewise, most vacation rentals in Playa Panama don’t come cheap. Luxury villas reign supreme but it is possible to rent more economical family style villas. As more hotels and bed and breakfasts open, prices will become more competitive and the variety of choices bigger. Krain Realty Playa Panama Costa Rica Real Estate specialists. Contact us for more than just the best Costa Rica real estate services available in Central America but also Guanacaste Property Management, Local Tours and Activities and legal services. 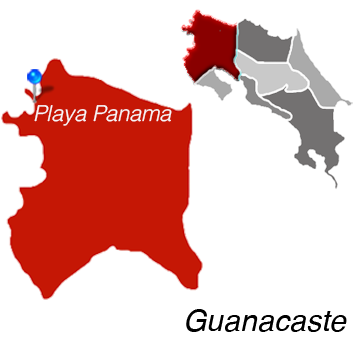 Playa Panama is Located in Guanacaste.